In light of what we have previously outlined regarding the Islamic view of Jesus we are now going to finally consider what happened at the cross. For the Christian the crucifixion of Jesus is fundamental and indeed is ultimately why he came as the Saviour of the world. However, as we have seen previously regarding salvation in Islam no such atoning sacrifice is possible. Whilst the Qur’an does not deny the historical event of the crucifixion, it is does deny that it was the Islamic prophet Jesus who was killed. This is a fascinating verse which many Muslims are aware of given the prominence of Jesus in discussions with Christians. It is reliant upon the understanding that Allah respects his chosen prophets to such a degree that a humiliating death by crucifixion would not be permitted. Nothing more is said regarding this matter in the Qur’an and it begs the question from a non-Muslim perspective of proof. Outside of this verse there seems to be no other supporting evidence that this was the case. And I guess this is to be expected as the concept itself suggests that all present at the crucifixion and presumably all the subsequent historians were hoodwinked into believing the opposite. Admittedly, Christianity faces a similar but I think less taxing burden of proof in their defence of a risen Jesus from the tomb on Easter morning. So instead of dying on the cross, the Islamic Jesus was taken up into heaven during this mystical switch and remains there to this day. Again, this is a unique aspect of Jesus within Islam which no other prophet including Muhammad can claim. Jesus has a further role to play in the grand scheme of history according to Islam. At the end of time before judgement day comes, Jesus will return to the earth still as a physical man and successfully lead all those chosen by Allah into Islam. The Qur’an does not speak much of this aspect leaving Muslims to rely strongly on the traditions contained in the Hadith. Unlike in Christianity who affirms Jesus’ role in judgement, the Islamic Jesus finally dies before this happens and leaves Allah to judge the world. So this marks the conclusion of the Exploring Islam series. I have enjoyed preparing and writing these podcasts and I hope that you have benefited from them. Remember my original goal was to dispel some of the misunderstandings of Islam which are so prevalent in Western societies and can be the source of much tension with our Muslim neighbours. Even though there are significant differences between Islam and Christianity I hope I have equally showed that there are similarities even bridges for discussion. I have found the best way to facilitate this is from the attitude of respect and friendship, things which Muslims themselves value highly. Despite Jesus’ unusual birth to a virgin Islam still considers him to be simply a man chosen by Allah to be a prophet. He is viewed as a created being from the dust just as Adam was (Qur’an 3:59). To consider Jesus as anything more than his humanity would be to ascribe to him some status of divinity, and as we have seen previously this is a serious sin. Allah reveals himself through the Qur’an as being one, and in being the only one. He is if you like singular in construction and the only one of his kind. During Muhammad’s life the early Church was spreading rapidly throughout the world and he would have heard of their radical concept of a Trinitarian God – that is a God which is three in one. Such a paradox, which is accepted in Christianity through faith and the testimony of the Bible, seemed to simply be a wilful act to distort the truth about Allah and elevate a man into a deity. If you remember from one of the first podcasts in this series at the birth of Islam Muhammad was reacting against an Arab people who were polytheists, that is belief in and the worship of many different gods and spirits. Muhammad placed the Christian view of Jesus into this category. Interestingly, there are two aspects regarding the Islamic view of Jesus which are not fully explained. In the previous verse you may noticed that Jesus is referred to as a ‘word’ and a ‘spirit’ from Allah. What exactly does this mean? The Qur’an does not make any further reference to it and they are unique to him. From a Christian perspective Jesus being described as a ‘word’ is familiar as it is found in the opening verses of John’s Gospel to denote his divinity. Alongside this, the Qur’an also makes the unexpected claim that Jesus was holy, faultless, pure, or righteous depending on your translation from the Arabic in Qur’an 19:19. These characteristics are commonly associated with divinity outside of Islam and offer a stark contrast to Muhammad who required forgiveness for his sins (Qur’an 48:2). Many Muslims are not aware of this last verse and can take offense at the suggestion that their greatest prophet is in fact sinful, so refer to it with care and respect. As we have seen in previous sections Islam views many characters from the Old Testament as Islamic prophets and the same is said of Jesus from the New Testament. Islam considers their understanding of who Jesus was and his religious affiliation to be the original correct one, and that Christianity has over time corrupted this truth to place him as the forerunner for their religious system. As a prophet he was blessed by Allah with miracles in order to convince those who saw him of his divine messenger status. One of these was the production of the holy book called the Gospel which Islam views as containing a similar message to that of the Qur’an, but specifically given by Allah to the people of Israel. Jesus’ role as a prophet was to reach out to the Jewish people and properly teach them about Allah through using the existing Islamic version of the Torah (or Old Testament law) and his Gospel (Qur’an 5:49). However, no original Islamic versions of these writings have been found. Most Muslims are not challenged by this as they place supreme authority on the Qur’an’s testimony. In addition to the Gospel Jesus displayed other signs, the first being his miraculous birth to a virgin named Mary. The account of Jesus’ birth in the Qur’an is remarkably similar to that found in the Christian Bible. However, the Qur’an also affirms that Jesus was capable of speaking ‘like that of an adult’ even when he was only a baby (Qur’an 5:110). This verse also lists other miracles Jesus did through the will and power of Allah; he breathed life into a lump of clay which turned into a bird, he healed leapers, and raised the dead. Jesus was indeed a prominent figure during his day. We have previously looked at the concept of sin in Islam and Christianity, now we shall naturally move onto their ideas of salvation. Salvation is the common idea that there is a need to be saved from punishment and condemnation for sinful acts, ultimately seen in going to Paradise and Heaven. Paradise for the Muslim is not about spending time in the presence of Allah as his transcendence still remains even here. For the Christian, Heaven is all about worshipping God directly in his presence in a way which is not fully possible now because of sin. This fundamental difference can help us see how and why their routes for salvation are equally dissimilar. It is something which at first glance is achievable by the Muslim on their own, unlike a Christian who believes that only God can help them out of their sinful predicament. Recognising that you are a slave unto Allah, after all this is what the word ‘Muslim’ literally means, and that it is your duty to be obedient to his law in the way you live your life. However, despite the most ardent attempts by the most committed Muslim does not guarantee entrance into Paradise. Allah’s will in deciding who does gain entry is always above any actions by any person even if they are in accordance to the law. Ultimately, a Muslim’s salvation is in the hands of Allah, in a way predestined, and they will never know for sure their fate. These ideas are in stark contrast with salvation found in Christianity, of which only a summary is presented. In order for forgiveness to be given by God for humanity’s sin punishment must be borne by someone. Instead of every individual suffering death for their disobedience God, in Jesus Christ, chose to suffer the penalty of death on their behalf. This is something alien to the Muslim where a substitutionary sacrifice for sin is outright refused as even possible. We will talk about how Islam views Jesus in a later podcast. Earning salvation for the Christian is therefore not achieved by their own efforts or successes even though the Bible does advocate a way of life which God wishes. Instead, forgiveness is a gift to humanity out of God’s grace, love and desire to have a real personal relationship with his creations which would not be possible with sin in the way. Although there are concepts of predestination within Christianity, salvation once accepted by a person and confirmed by the Holy Spirit is guaranteed by God giving a sense of peace and assurance which a Muslim is forever searching for. However, this is where the two religions part company. Within Islam every person is naturally sinless when they are born, they only become sinful when their first sinful act is committed. People are capable of following all the necessary laws and being sin free on their own, all that they require is the proper instruction and a healthy fear of the afterlife in hell to motivate them. Despite this, even Muhammad is said in the Qur’an to have sinned (Qur’an 48:2). People are forgetful and can fall prey to the temptations which Satan can cunningly whisper to them. This is in contrast to the Christian who believes that we are all born into sin before we have thought or done anything. This is the concept of ‘original sin’ found in Psalm 51:5 and means that every person is in needing of saving. Within Islam there are different levels of sin derived mainly from the Hadith and are too complicated for us to go into here. The main point of the categories is to identify those actions which the Muslim can receive forgiveness for by doing repentance. But in contrast there are a very small number which are not forgivable most notably that called shirk. Committing shirk is when a Muslim changes a religion to become a Christian, and thereby in Islamic understanding believes in more than one God as seen in the Trinity. Although there are Qur’anic verses which suggest Allah would entertain forgiveness if they rescinded and returned to Islam, there are equally others which suggest it is only a one way road to condemnation. The concept of shirk is a major barrier in any Muslim’s mind in even entertaining conversation about other religions, let alone really committing to change. When a true conversion does happen it is common even in western countries not to go public for fear of reprisals. A final aspect of sin to mention is the effect it has upon Allah and God. In Islam Allah’s transcendence and unknowability is so complete that he is subsequently not impacted at all by humanity’s sinful acts. He is a god who has desires for humanity to live in an appropriate way, but there is no personal relationship or want for fellowship. Allah is most holy, that is pure and just and set apart. His will is his own unaffected by anyone or anything. This is in great contrast to the Christian God whose nature is equally holy and transcendent, but He has an innate desire to individually meet and express his love for his creation. However, this is hampered by the presence of sin which would, unlike with Allah, be in conflict with God’s pure holiness. Therefore, for a Christian forgiveness is required to forge the loving relationship with God, whilst for the Muslim it is to avoid going to hell. Today we are going to look at the variety found within Islam. We can at times be tempted to think that all Muslims are alike, but as we shall see there is great diversity in the categories of Sunni, Shi’a, Sufi and Folk Islam. After Muhammad had died and the difficult process started for the people to decide a new leader the seeds of division formed which would remain in the form of Sunni and Shi’a groups. Some believers, the majority at that time, believed that a new leader could and should be chosen from the close companions of the prophet by the majority consent of the Muslim community. As a result the Islamic empire remained superficially unified through four successive caliphs, or leaders, before this underlying disagreement took a more direct and violent turn. Through many battles the minority group who always contested that Muhammad’s successor must be from the prophet’s own blood line took arms against the majority. They never succeeded in overthrowing the empire, but instead strove forward as a distinct group who broke away from the rest. Within Shi’ism the first genuine successor was Al-Husain the grandson of the prophet and who was brutally killed on the battle field against the Sunni in one of the final confrontations. This is commemorated each year and if you type ‘Shi’a’ into most search engines the images at the top will be of bloody processions of remembrance in Iran. With the dismissal of the previous caliphs came the equal rejection of many Islamic traditions, Hadiths and parts of Sharia law which were instigated by them. Instead of successors being chosen by the people, Shi’ism believed that the rightful successor who had Muhammad’s blood in them also shared some mystical connection with the prophet, and hence it is only them who had the authority to lead and make choices. In a way these subsequent leaders of the minority Islamic sect had moved on from a political successor, which is all that Sunni had, into a combined spiritual and political figurehead. Shi’a Muslims remain a minority in the world today and are found mostly in Iran, but also elsewhere. The two groups seemed to have accepted themselves, but equally on the ground there can be much animosity. Because of the different theological foundations in Shi’ism, some of their practices are different to Sunni. Instead of praying five times a day they only do it three times. When they pray they include a stone, clay, or wooden tablet which they bow and place their head on, this is sourced from one of their different Hadiths. Because of these differences it is common for Shi’a believers to attend separate Mosques. Sufism is not a separate sect of Islam like Sunni or Shi’a, but instead followers can reside in either camp. The difference between them and non-Sufi lie in their awareness and specific beliefs around the nature of Allah and humanity’s ability to commune with him. For non-Sufi orthodox believers Allah is so vastly different and superior to humanity there can never be any kind of relationship or meeting between the two. Even when in Paradise after death you are not with Allah who continues to reside elsewhere. Allah would not desire it to be otherwise, for example the Qur’an describes his disgust at the concept of him becoming a man as the Christians claim of Jesus. But for Sufis they yearned for a more otherworldly experience of Allah. This is achieved through specific methods of prayer and meditation under the guidance of a Sufi master or teacher. They tend to emphasise the love of Allah over any other characteristic, and believe that through these activities it is possible, even if very difficult, to draw closer on a spiritual level and experience union with Allah. This might all sound rather strange and unusual, but it is not a far cry from Eastern Orthodox Christianity’s practices and beliefs, and indeed when I pray as a Western Protestant I desire to draw close to God in some tangible way. Similar to Sufism, Folk Islam can exist within either Sunni or Shi’a groups, but primarily it is found in the former. It can equally be referred to as Popular Islam and is the combination of orthodox beliefs and practices with additional non-Islamic concepts. This is not unusual and all world religions have faced the threat of outside influences sometimes conceding ground. One of the major concerns for people is that of sickness, death and what is to come afterwards. In times where normal medical treatment fails and orthodox Islamic belief would only provide the comfort of Allah’s predetermined and unknown will, a desire to have some influence in the situation led to the acceptance of some pre-existing religious beliefs. For the most part these additions can be centred on the role of a shaman or wise man who is gifted with the ability to communicate with the spirits of the dead. Through this intercession and in combination with certain practices a person may be able to positively impact their difficult situation. In conjunction with this are the two opposing concepts of positive blessing versus the evil eye. Some people, objects, locations or things are more blessed and lucky than others. Fridays are always like this and so many important business meetings or personal choices are purposefully delayed if possible to this day of the week. The evil eye on the other hand is seen as a strong negative force or spirit which resides within each person from birth. Its role is to undermine the faith and religious commitment of the believer. This is commonly seen through the act of envy and it is common in parts of Africa for newborn babies to remain within the house for as long as possible so no one is able to invoke the evil eye onto them. What we have covered here is only a taster into the different expressions of Islam around the world today. But I hope that it has helped to expand our appreciation that what aspects we normally see in the media does not properly represent the overall diverse picture. 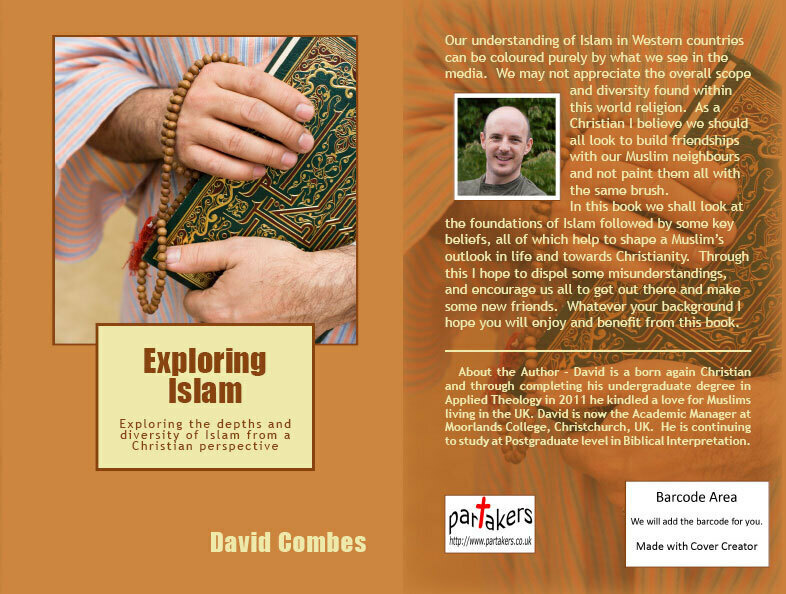 We are now starting to look at some of the beliefs of Islam and see how they are similar or different to those of Christianity. For this session we shall examine the concept of Allah, which is simply the Arabic word for God and existed before Islam. These words are the same linguistically, but what about the characteristics behind them between the Islamic Allah and the Christian God? When Muhammad was first proclaiming these verses, which would later become the Qur’an, he was attempting to move the Arab people away from polytheism, the belief and practice in worshipping many gods. In conjunction with his understanding that Christians had corrupted their message from Allah given by the Islamic prophet Jesus to include Jesus’ divinity, it is understandable that there was a real need for an explicit difference to be made with the Islamic perspective of Allah. For Christianity, the concept of God is inseparably bound to the term ‘Trinity’, that of God the Father, the Son Jesus Christ, and the Holy Spirit. To believe in such a doctrine is for a Muslim to commit one of the worst sins defined as shirk, to associate anything else to the one and only Allah. This primary difference in belief between these religions centered on the person of Jesus Christ can act as one of the tallest barriers preventing useful religious discussion, and ultimately for a Muslim to convert to Christianity. Welcome to ‘Exploring Islam’. We are now starting to look at some of the beliefs of Islam and see how they are similar or different to those of Christianity. For this session we shall examine the concept of Allah, which is simply the Arabic word for God and existed before Islam. These words are the same linguistically, but what about the characteristics behind them between the Islamic Allah and the Christian God? Two of the most important attributes of Allah repeated many times in the Qur’an is that of his mercy and his greatness. Within Islam, Allah operates his mercy and indeed all action in accordance to his will. This is not dissimilar to God in Christianity. However, in Islam as Allah is essentially unknowable it is difficult if not impossible to actually know or even predict how Allah is going to act. Muslims however do demonstrate great faith in their commitment during adversity believing that Allah’s will resides in every experience of life, positive or negative. However, as we have seen previously, that there is a level of uncertainty and lack of control on the part of the follower. As a result some turn to alternative means like Folk Islam in an attempt to influence their situation. It would be unfair to claim the opposite for Christianity, that God’s will and plans for us are so crystal clear that we do not experience times of doubt or fear. However, speaking as a Christian, God reveals his nature to be unchanging in the Bible, and through the personal relationship which I have cultivated with Him I feel I can draw solace in difficult times knowing that Jesus is with me (Hebrews 13:5). Welcome to ‘Exploring Islam’. We are now starting to look at some of the beliefs of Islam and see how they are similar or different to those of Christianity. For this session we shall examine the concept of Allah, which is simply the Arabic word for God and existed before Islam. These words are the same linguistically, but what about the characteristics behind them between the Islamic Allah and the Christian God? This may seem a rather negative launch point but it is an important concept to realise within Islam. The Qur’an does not reveal Allah rather it shows how people should live in accordance to his will. He is essentially transcendent to all, he is above and beyond everything we do know or could possibly understand. Humanity’s position in regard to its creator is that of a slave with a master. There is no possibility for a personal relationship like that found in Christianity where the analogy is a divine Father with His children. However, this is not to say that Allah is disinterested in his creation, humanity, or his Muslim followers, far from it. This description of Allah is understood to be more of an awareness of everything that is happening in creation. Allah is all knowing and all powerful, just as Christianity’s God is. The most significant difference between them is that in orthodox Islam Allah makes no attempt to personally reveal himself or to reach out to humanity in the same way as God does. However, just a cursory glance through the Qur’an and you will notice there are many adjectives used to describe Allah and so Muslims are given some concepts which to form their beliefs and service, the 99 names of Allah. Muhammad’s miraculous sign as a prophet was not healing, or feeding of the five thousand, but instead the transmission of Allah’s message to the Arab people, the Qur’an. In this podcast we shall briefly look at this and the additional Islamic writings called the Hadith. The Qur’an as we now read it, was not written and collated until after Muhammad’s death. Whilst he was proclaiming his message from Allah to the people it was common for scribes to write down what he said, but most Islamic scholars agree that this was not systematic. Unlike the Christian Bible which spans many years, cultures and authors, the material found in the Qur’an originated from one person within their twenty year ministry. The nature of the text is very poetic in content and structure so much so that many native Arabic speaking peoples consider it a higher form of the language, as well as an older and now disused dialect. It is believed that Muhammad received the material for the Qur’an from Allah via His messenger the Angel Gabriel, otherwise known as the ‘the holy spirit’. These visions were intense affairs where the prophet was sometimes seen coming out of a trance like state. After his death it is no surprise that there was some diversity in the form and detail of some of the written records of Muhammad’s message. The third Caliph, or leader of Islam, Caliph Uthman appointed in 644AD twelve years after Muhammad’s death set out to collate and establish a single version of the prophet’s message which remains today. The overall layout of the Qur’an is somewhat different to that of the Christian Bible. The Suras were ordered not chronologically but in size, the longest first running down to the shortest. The only exception is Sura 1 which is seen as a special opening prayer to the Qur’an. In a general sense this structure placed the later Suras, the ones received whilst Muhammad was living in Medina, first as they were the longest. Most English translations of the Qur’an have opening comments to each Sura which briefly describe its timing. The Suras themselves are not specific to a particular topic or event, but contain within them a variety of different subjects and exhortations. It may start by talking about the role of women, then move onto accounts of Abraham, and perhaps finish discussing heaven or Paradise. This shift within the Sura makes for difficult reading if unfamiliar with the Qur’an, and the change from one topic to the next does not necessarily mean they should be connected via a general principle or lesson. Unlike the Christian Bible which is believed to be unified in its truth and content, passages in the Qur’an can come under abrogation. A later passage regarding a particular situation or topic can supersede an earlier instruction. An example might be the growth over time in the number of wives a Muslim may have. As a Muslim this facet of the text is not viewed as a negative drawback but simply as the way Allah has chosen to communicate. Despite the origins of the Qur’an, the words within the book were considered by Muhammad and are still by Muslims to be the actual words of Allah. Even though they were transmitted through a human prophet they contain no reflection or influence by him. In fact, the message contained within the Qur’an originated according to Hadith from an eternal tablet located in heaven. This everlasting tablet of Allah’s words was the source of all the previous books from previous Islamic prophets, Moses and the Torah, David and the Psalms, Jesus and the Gospel. Therefore, the Qur’an itself is handled with great respect. Unlike the Christian Bible it ceases to be the Qur’an when it is translated out of the original Arabic into say English, hence these are typically called ‘The Meaning of the Glorious Qu’ran’. The Qur’an is never placed on the floor, never held below waist height when being carried, can never have anything placed on top of it, and is certainly never written in. All Muslims today consider their copy of the Qur’an to be one of their most precious possessions and as such any non-Muslim should display some level of respect even if they do not believe in its claims. However, it is this authority stemming from its eternal origins which, in my opinion, poses some food for thought for Muslims. Anything eternal can only be equated to Allah, and therefore what exactly is this heavenly tablet? Many everyday Muslims may not have considered this question and if presented with it may react with offense. Caution and sensitivity is needed or else we risk raising only more barriers. Along with the Qur’an, what Muhammad said and did outside of the specific proclamations from his Angelic visions have been collated and are called the Hadith. As a political and religious leader he was faced with many different and challenging situations and questions from his followers which he sought to answer. These sayings were recorded either during his ministry or afterwards and form the backbone for what was subsequently structured as Sharia law, the overall structure and guidance for all aspects of Islamic life. Unlike the Qur’an there are today different Hadiths written by different Islamic scholars and have different providence. The reliability of a Hadith is based upon the length and character of the witnesses who passed on the information before it was written down. Some which today are considered popular and reliable are authored by Bukhari, and separately by a scholar simply called Muslim. Many put a lot of unquestioned trust and authority into the teachings and principles found in the Hadith, sometimes equalling that given to the Qur’an. This is despite the orthodox position that it is only the Qur’an which can be considered the actual authoritative words of Allah. The status of Muhammad as the seal of all prophets has naturally led to this popular view of the Hadith, and many Muslims which I have met have raised the prophet, rightly or wrongly, onto the same ethical and moral pedestal as Christians do for Jesus. Next time we shall look at the different expressions of Islam found today characterised in the divide between Sunni and Shia, but also in Sufism and Folk Islam. Today we shall unpack more of what Islam means to those who follow the faith, and how it relates to Christianity in similarity and difference. Our first step however will be to briefly appreciate its origins! The founder of Islam was the prophet Muhammad born in the city of Mecca (now in Saudi Arabia) around 570AD. The family he was born into was of some importance in the city however his father had died before he was born and soon after when he was six years old so did his mother. The conditions in Arabia and for the Arab people before Muhammad was a complex network of nomadic tribes who lived and moved around the desert regions. Loyalties were clear cut and rules for living were easy to understand as your duty and honour were simply bound to your clan. But it wasn’t long before these tribes began to congregate and towns and then a few cities were forged. Suddenly with a close community filled with a mixture of clans the established framework and social order was threatened. Orphans and the poor were increasingly ignored and as resources and power became sought after commodities the moral fabric of what was a simple nomadic life became vulnerable. It is important to realise that this is the social setting which Muhammad was born into and the problems which he witnessed. The religious situation of the Arab people leading up to Muhammad was a cauldron of idol worship, spirit worship, and sun, moon and star worship. There was a community of Jews living in Mecca at the time, and nearby countries like Ethiopia were almost entirely Christian. In fact the Ka’aba, which is the large cubic structure in Mecca today and forms the focus of the Hajj pilgrimage, was already old by the time of the Islamic prophet. It was used to house hundreds of idols, but later in Muhammad’s life when he returned from Medina to Mecca he claimed the structure for Islam. Around 610AD Muhammad received the first of what was to be seven visions of revelation from Allah delivered through the messenger Angel Gabriel and would form the Qur’an after his death. The first one was famously in a desert cave which he commonly used as a retreat. From here on Muhammad began proclaiming his message from Allah to the Arab people. It was one which called them to abandon their idol worship and commit to monotheism. But it wasn’t limited to being only a religious message but also a political and social structure which would alleviate the injustices Muhammad perceived and one which would please Allah. He found he had only some followers of this new faith and eventually in 622AD in fearing for his life he fled to the nearby city of Medina who welcomed him with open arms. Very quickly he established a political leadership in Medina, his followers grew, but the opposition in Mecca remained. After eight years of petty killings between the two cities, this is where jihad has its roots, Muhammad with his men went to Mecca desiring a peaceful pilgrimage, but instead the officials surrendered in fear of their safety and the city became Islamic. During 632AD Muhammad died whilst living in Medina and had left in his wake a large political empire as well as a new religion. However, he had failed to declare a successor. He was the final prophet, the seal of the prophets, and so another one was not sought, but instead a political leader. There was much struggle within the Islamic believers in Medina and despite a successor being appointed a division was formed which was to remain under the surface and come out later through much blood shed in the creation of Sunni and Shi’a Muslims. The Islamic empire expanded exponentially over subsequent years and it is important to remember that this all began with the twenty year prophetic service of one man Muhammad. The growth was achieved primarily through plundering neighbouring towns and cities and when control was achieved the Islamic faith was a prerequisite for the indigenous people to stay. The only exception at the start were for Jews and Christians who were tolerated as second rate citizens, but later on even this faded. However, more peaceful conversions were happening at the same time through Muslims sharing their faith whilst working the trade routes across the continent and into Asia. What Muhammad had achieved was a first for the Arab people, a sense of unity and loyalty to more than just their individual clan. Now it was to the one god Allah and his prophet, and this provided the opportunity for growth and prosperity. What we have just discussed paints a very quick picture of the beginnings of Islam as we currently would know it. However, from a Muslim’s perspective we must appreciate that Islam existed before Muhammad. Islam when translated simply means one who voluntarily submits to Allah, which is simply the Arabic word for God. Muhammad was the last prophet, the one sent to the Arabs. Previous prophets from Allah went to the Jews in the form of Abraham, Moses, David and many more. For the Greek people Jesus was Allah’s prophet. All of these familiar names were in fact Muslims as declared in the Qur’an and their revelations to their respective peoples were of a similar type to that of the Qur’an. Moses brought the Torah, David the Psalms, and Jesus the Gospel. However, the respective peoples corrupted these books and didn’t live as Allah would have wanted; hence the current versions of these holy books are not considered by Muslims as original. This explains how a Muslim views a Christian. They have corrupted the sacred revelation given by Jesus to include things like the Trinity and divinity of him, and so are in need of repentance. For a Muslim Christianity was born out of this dishonest process and did not exist before or because of the prophet Jesus. Next time we shall consider in more detail the nature, design, and layout of the Qur’an and Hadith, Muhammad’s great religious legacy. Welcome to this new series where we shall be exploring the depths and diversity of Islam found in our world today. I am a born again Christian living in the UK and I have found that our understanding of this faith is somewhat lacking in Churches and in the general public. Whilst attaining my undergraduate degree in Applied Theology I studied Islam from an academic perspective and spent time in several UK cities meeting with Muslims of all types from many different cultures in their homes and in the Mosques. I am now occupied in looking after our one year old son and studying at Postgraduate level in Biblical Interpretation. But Islam still remains a personal interest of mine, and as a Christian we should be looking to build friendships with our Muslim neighbours and never be afraid of learning something new about their faith whilst always being prepared to sensitively share our own. My hope is that whatever your background you will enjoy and benefit from this podcast series. The media can deliver much of our experience and understanding of the Islamic faith from far reaching locations across the world. However, the tragedy of this is for most us who do not know Muslims personally we commonly paint them with the same brush, assume that they are all ‘out to get us’ or seem so different and unknown that we avoid them. This series will attempt to fill in the potential gaps and maybe even correct some misunderstandings all done in the spirit that ‘loving our neighbour’ includes those of a different faith or ethnic origin. However, it must be appreciated from the outset that we embark on a journey to better understand one of the largest world religions which despite its own ambitions for unity and uniformity contains significant diversity of expression. Here is our first lesson; there can be a big difference between official orthodox Islam found in the text books, and the understanding and practice of individual Muslims across the world. I must qualify that what I bring to these podcasts is based not only on my own academic study of Islam but also in meeting with individual Muslims living in the UK from different cultural backgrounds. Much of what is accessible to Christians regarding Islam is written by Christians on the mission field and this is of great worth. However, I have found that first hand conversations with the Muslims who live nearby provides a unique perspective which will help us pray for them, build friendships, witness in love, and ultimately accept them into the Church as new believers. The journey starts here.